Speakers – The Right Path – Fulfilling the rights of others. 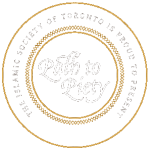 – Path to Piety – April 19 – April 21, 2019. Shaykh Ebrahim I. Bham is born and raised in South Africa. He has attained his masters in the Islamic sciences and theology under great traditional scholars. Shaykh Ebrahim I. Bham is known to be one of the most active scholars in South Africa for education, development, advocacy and interfaith. He has served in various capacities in South Africa at Newtown Islamic Institute, Al-aqsa Institute, Mayfair Jame Masjid, and Hamidia Masjid. He frequently travels the world for da’wah and lectures, including countries such as Australia, United Kingdom, USA, Somalia, Palestine, Eygpt, Turkey, Sri Lanka & Malawi. Shaykh Ebrahim I. Bham is also the founder member and vice chairman of Johannesburg Muslim School, executive committee member of National Religious Leaders Forum (Initiated By South Africans for Greater Liaison between Religious Groups and Government), executive member of Muslim AIDS Programme (MAP), national trustee of Moral Regeneration Movement (Working towards the improvement of morality amongst South Africans) and also an executive member of the United Ulama Council of South Africa (UUCSA). Shaykh Ebrahim I. Bham is presently the chief theologian and general-secretary of the Council of Muslim Theologians in Johannesburg, South Africa (http://www.islamsa.org.za/). Shaykh Ebrahim I. Bham lives in Johannesburg, South Africa with his wife and three children. Some of Shaykh ebrahim’s lectures can be heard from the Every Muslim site. May Allah give a long a life and good health in order for us to benefit from the Shaykh, ameen. Sheikh Sulaimaan M. Ravat hails from Lenasia, Johannesburg. He graduated from the Alim Fadhil course in 2004 and obtained an Honours Degree in Islamic Sciences from the University of Johannesburg in 2008. Shiekh is an award winning presenter at Radio Islam International where he has been hosting the breakfast drive-time show Sabaahul Muslim for the last thirteen years and is also the Programs Manager. Shaykh Farhan Vali was born and raised in the UK. He completed his Hifz at the age of 16. Following the completion of the memorization of the Qur’an, he enrolled at Jamiah Riyadhul ‘Uloom, also known as Islmaic Da’wah Academy in Leicester to study the Alimiyah course. After graduating from the Islamic Dawah Academy, he has served as an Imam at Eman Foundaion in Goodmayes, London for the past 3 years. Currently he is teaching hifz at Al Ihsaan Academy, and also Alim class at At Taqwa Academy and Lantern of Knowledge. He is the principal of maktab at Al Ihsaan Academy and he has presented many durus in the local masaajid. Through this he has done some great work amongst the youth. He has also delivered many talks in different parts of the UK, which have been a means of many Muslims to be motivated to connect with their creator. The Right Path - Fulfilling the rights of others. April 19 - April 21, 2019. Copyright All Rights Reserved © 2012-2016. Website by GalaxyStream.